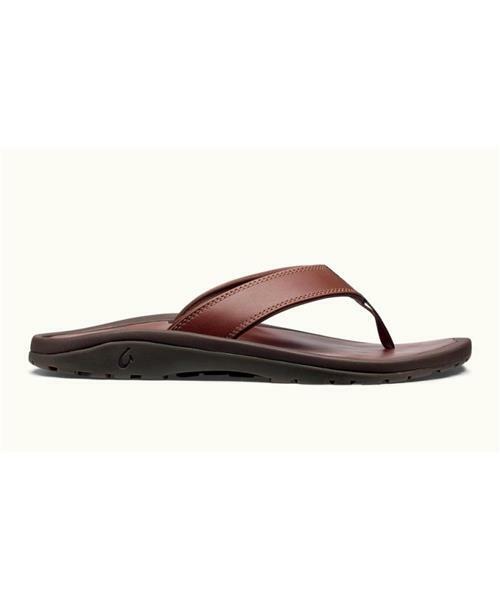 An OluKai classic, the ‘Ohana leather is an ideal blend of cushion and structure. * UPPER: Full-grain high character leather upper, with jersey knit lining. * FOOTBED: Anatomical compression-molded EVA midsole with full-grain high character leather drop-in footbed for personalized fit. * OUTSOLE: Non-marking rubber outsole with a coral reef lug design for added grip. * FEATURES: Soft nylon toe post webbing, laser-etched logo and embroidered detail. Style supports our 'Ohana Giveback Program.